If you’ve been to Germany, you might have noticed the small brass blocks embedded in sidewalks to commemorate victims of Nazism. The unique memorial project, launched 20 years ago, has just passed an important milestone. 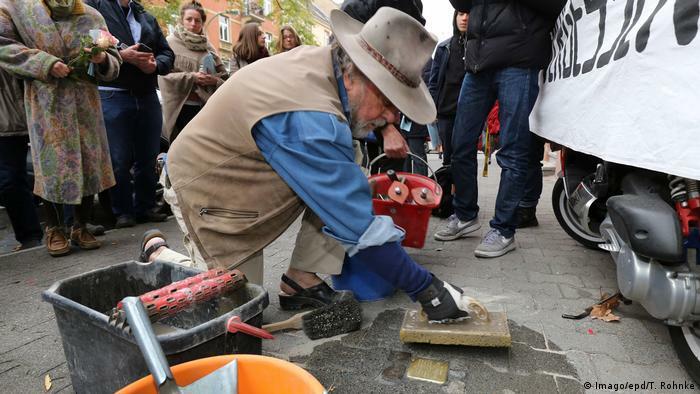 A small crowd gathered in northern Frankfurt on Tuesday to watch Gunter Demnig lay the 70,000th brass stone in the ground. The “Stolperstein” memorial project was his brainchild. “Ultimately there’s no reason to celebrate, because 70,000 stones are 70,000 stones too many,” he said. 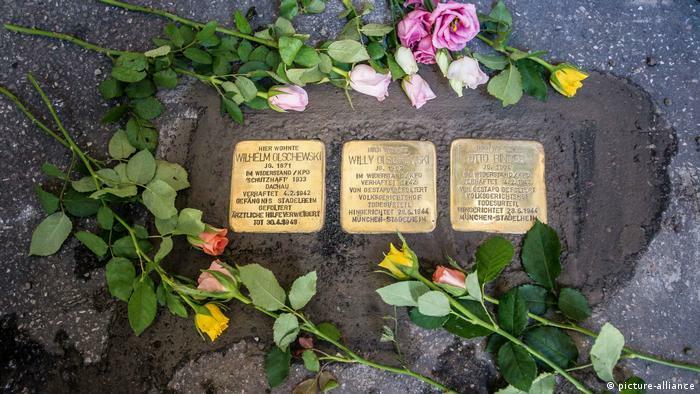 The small plaques, known as Stolpersteine (stumbling stones or stumbling blocks in English), have been installed in sidewalks in Germany and other countries to preserve the memory of the Nazis’ victims. Each stone is engraved with the name, date of birth and fate of an individual, and placed in front of their last voluntary place of residence. 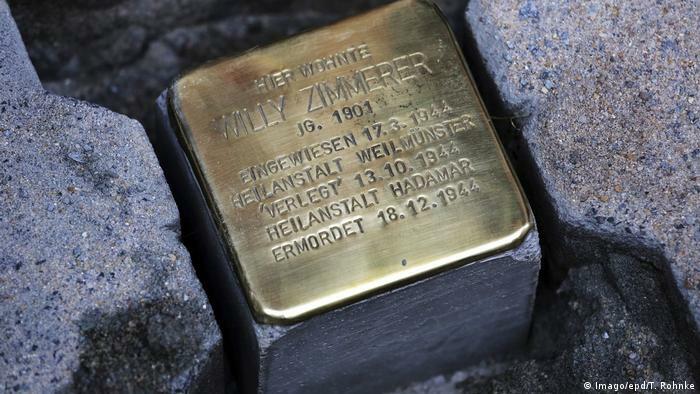 The 70,000th stone bore the name of Willy Zimmerer, a man with a disability who was murdered in 1944 in Hadamar, near Frankfurt. The western German town was home to a psychiatric hospital that was used to exterminate “undesirable” members of society under the Nazis’ “euthanasia” program. Nearly 15,000 Germans were murdered there. Two of Zimmerer’s distant relatives traveled from the United States to witness the stone being placed in the ground in front of a red sandstone house. Cologne-based artist Gunter Demnig, 70, started the project in 1996 with his first stone in Berlin. Since then, he has traveled across Germany to install the stones in more than 1,200 municipalities. The memorial plaques have also been laid in 24 other countries, including Austria, Belgium, France, Greece, Italy, Poland and Argentina. The project, which is considered to be the largest decentralized memorial in the world, is funded by sponsorships. Each stone costs €120, or about $138.